of New Zealand’s South Island. 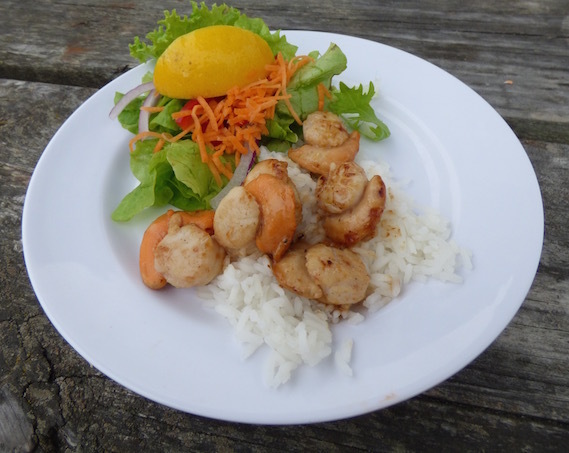 Silly me, at New Zealand South Island’s famed Kaikoura seafood stand instead of ordering paua or whitebait fritters, out of nostalgia I selected scallops. Seeing lots of whitebait in Akaroa, I figured we’d encounter it again. But we didn’t. 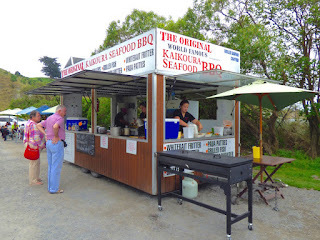 at Kaikoura Seafood BBQ stand, South Island, New Zealand. 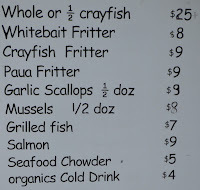 Post Kaikoura, before heading to Auckland in March, I researched seafood restaurants. Depot Eatery And Oyster Bar earned rave reviews. 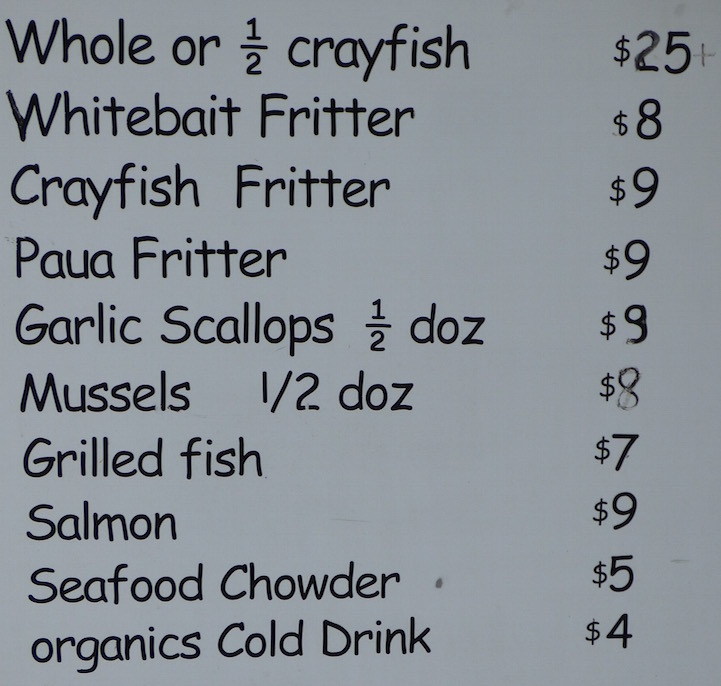 “Do you offer whitebait?” I enquired. “Nope; only when they’re running in the spring,” they promptly responded. Spring, here in the land of upside-down (from a Northern hemisphere perspective) is November, not March. Alas, I missed my chance as we’ll be long gone. I’m guessing New Zealand South Island seafood eateries must use frozen whitebait to serve year-round, in much the same way Mike’s Ice Cream in Hood River Oregon freezestheir precious huckleberries for their fabulous huckleberry shakes. BBQ stand, South Island, New Zealand. less than 1/3 the price to convert to USD. “What exactly is whitebait?” I wondered, besides these pretty teeny-tiny shimmering silvery fish for fritters. 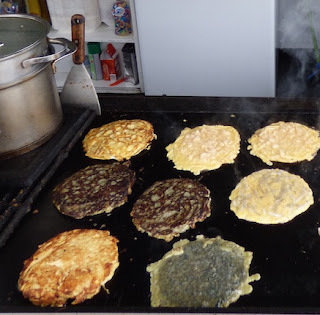 The actual taste drew polarized reactions, from “ewwwww*” to sublime enthusiasm and specific comments regarding what constitutes the ultimate whitebait fritter. image pilfered from this New Zealand tourist resource. 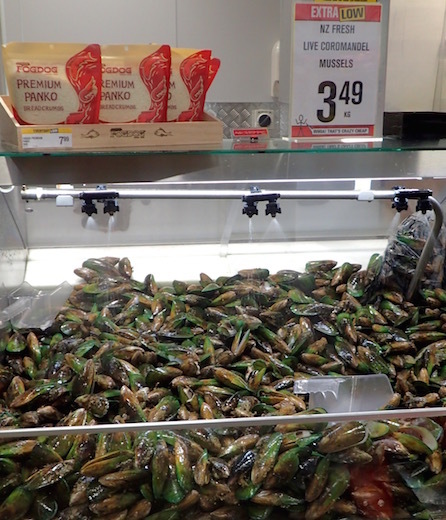 As early as the 1800s it was dubbed a delicacy – aka – expensive. In the 1920s whitebait was expensive enough to be considered a luxury. ‘When we get married/ We’ll have whitebait for tea’ were the lines of a popular song at the time. 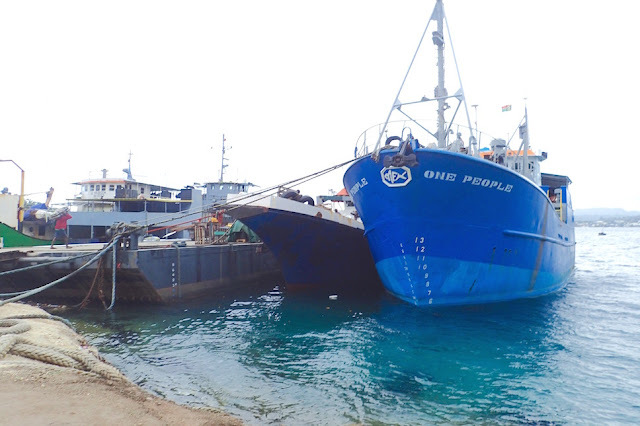 Per wikipedia “…it is the most costly fish on the market, if available. During average to good seasons, prices vary between $70 and $130 per kilogram [kg]” (about $25-40/lb. USD); in 2005 they hit $150/kg. Turns out whitebait is galaxiids, not one specific fish, but five species, net-caught off the West Coast of South Island. Four out of five species are considered even more rare than the elusive, endangered kiwi bird. While there’s a move afoot to ban whitebait commercial fishing, even its proponents admit galaxiids’ biggest threat is far more of a sacred cow -- pastureland. Denuded hillsides eliminated the shady dells these little aquatic critters need to thrive. Now I wish I could claim my passing up whitebait was due to my environmental bent, however I know that would be in genuine. I just wanted to try a whitebait fritter once, and still do, though would season my culinary curiosity with a little guilt and reverence. 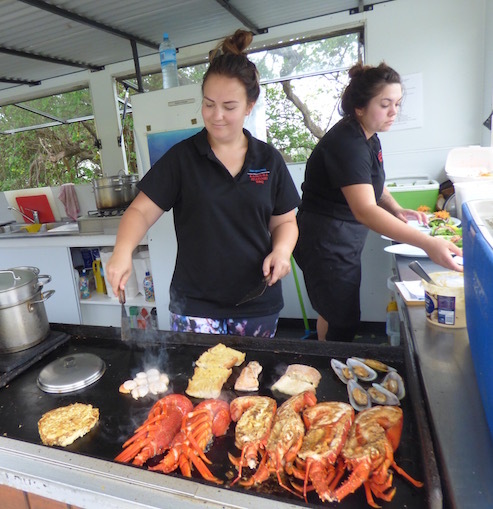 While I’ll never be considered a Kiwi given my lack of enchantment with fish and chips, I thoroughly enjoyed New Zealand’s Coromandel mussels, and devoured a delish paua (New Zealand abalone) fritter today in Kensignton. Sadly, it would be an understatement to say the steamy scent of briny mussels burbling in the all-too-close quarters of our little boat was not popular with the captain. Mussels have not since graced our galley, though I’ve happily partaken of them when someone else cooked them a few times since. Sampling more seafood will go on my list of what to do if lucky enough to return to this beautiful country, along with hiking the Tongariro crossing, penguin watching, seeing a real live kiwi and spending more time with the incredibly gracious non-feathered inhabitants. We're back on a pole mooring in Whangarei’s Town Basin Marina (S35.43.412 E174.19.539), though by the time you read this, we'll likely be on a brief road trip up to Cape Reinga, the Northernmost point of New Zealand's North Island. 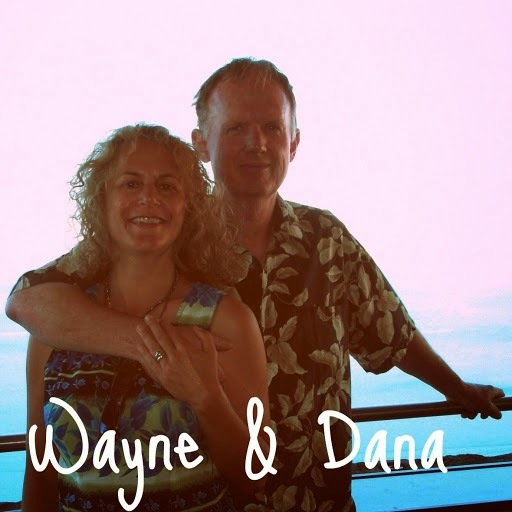 Meanwhile, our must-do boat and provisioning chores before we set sail list is getting much shorter! Quite likely we'll leave Whangarei by month's end.